Personalize the Name (13 char. max) You have 13 characters left. Personalize the date (16 ch. max) You have 16 characters left. 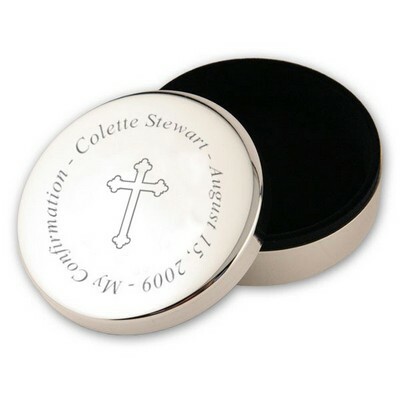 Giving this christening ornament is a perfect and meaningful way to mark a very special time in one's life. 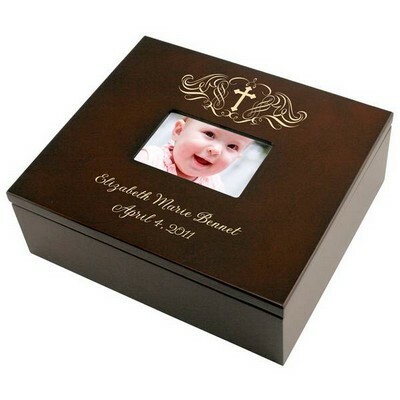 There are so many things that you would like to give a baby on it's christening day to help guide them through their long life. 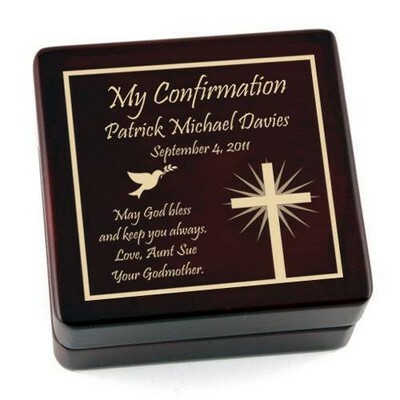 Besides good health and security there is one gift that can really show how you feel, My Christening Personalized Cross Ornament is the best present to do just this. The personalized glass ornament hangs attractively from a golden ribbon. Gracefully hanging this beautiful ornament on your Christmas tree serves as a very precious reminder to you and to all every year at such an important time. The Christmas season prompts you to be thankful for everything you have; decorating in celebration is yet another way to show your reverence. Commitment and devotion to a path in life is so significant that it deserves it's own spot on the Christmas tree. 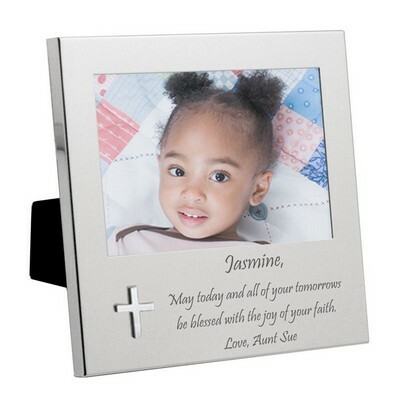 This charming cross is suitable to serve as a baby girl or baby boy christening gift. 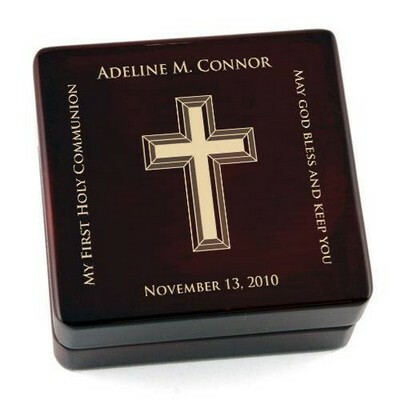 The personalized glass ornament becomes even more special with the name and date laser engraved on the glass. 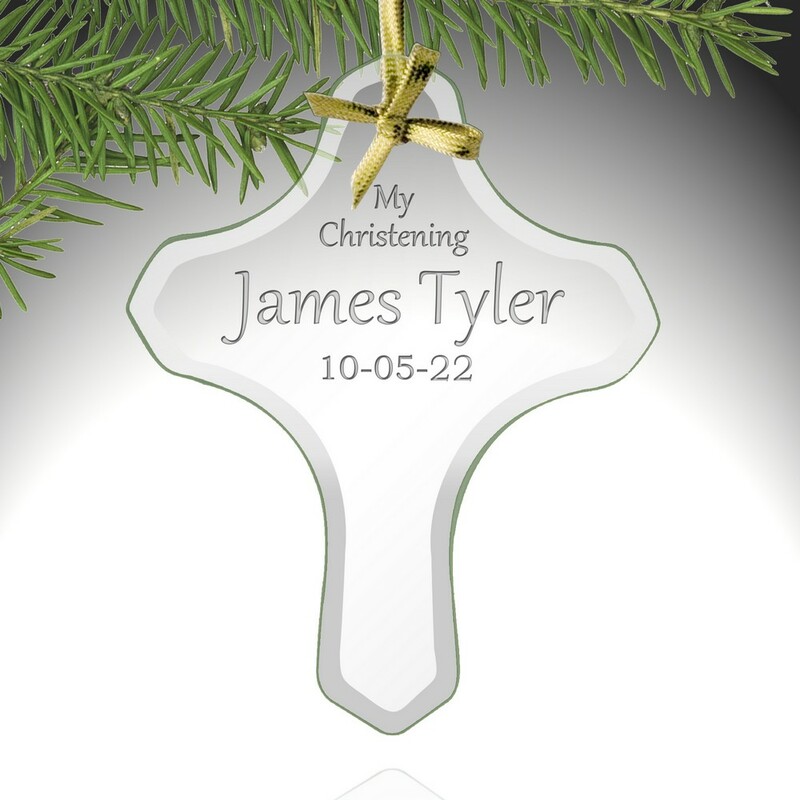 The christening cross ornament measures 3 1/2" x 4 1/2" and is 1/8" thick. It is a delightful way to remind everyone of such a monumental day in one's long life. 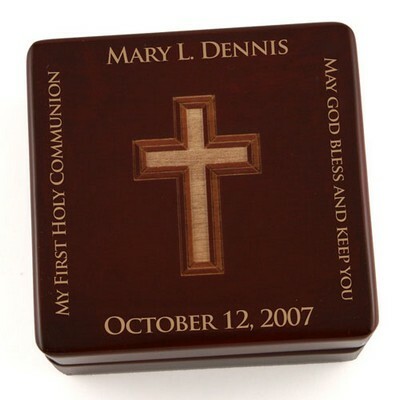 Personalize this gift with a name and a date. 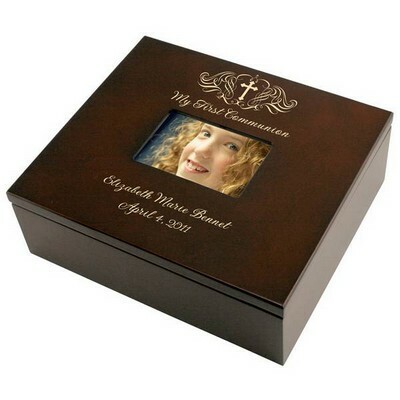 You can earn 10 MG Rewards Points on this product! 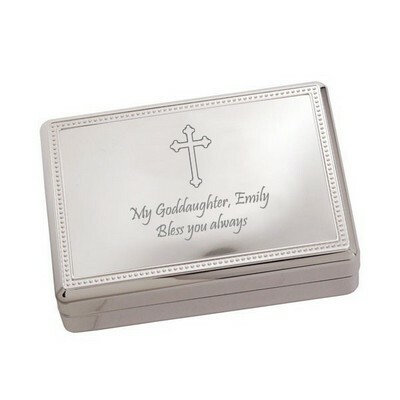 Comments: EXTREMELY HAPPY WITH MY ORDER,EVERYONE I'VE SHOWN IT TO WAS DELIGHTED,THEY SAID THAT THEY HAD NEVER SEEN ANYTHING LIKE IT, SO VERY BEAUTIFUL. I COULD'NT BELIEVE HOW QUICK IT ARRIVED TO AUSTRALIA,SUCH A TOP LEVEL OF SERVICE,I'M VERY IMPRESSED, THANK-YOU.